Few generations produce thinkers of such importance that their work has an influence well beyond their immediate context. The history of Christian thought is littered with countless scholars whose legacy goes to the grave with them. But every so often God raises up an individual and sets them apart for a special work that has lasting and profound implications. Such figures are often not universally celebrated in their own lifetimes, and seldom are they fully understood until a generation or so later when, with historical distance, their impact can be adequately assessed and appreciated. Thomas Torrance is just such a figure. Professor Thomas Forsyth Torrance (1913-2007), “T.F.”’ to his students (to distinguish him from his brother “J.B.”), or “Tom” to those who knew him, was a towering figure in twentieth-century theology. His prodigious literary output, translation work, edited volumes, international speaking engagements, and ecclesiastical and ecumenical endeavors cast a huge influence over theology and theologians working with him, against him, and after him. Now, into the twenty-first century the impact of his work is still being felt as PhD’s are completed on his work, monographs roll off the presses detailing and critiquing aspects of his theology, and societies and even entire denominations are established to disseminate central features of his thought. Clearly, the theology of Torrance continues to be of interest today, and for good reason. Torrance was a minister of the Kirk of Scotland, a distinguished professor of Christian dogmatics at the University of Edinburgh, a patristic scholar, the chief interpreter of Barth in the English-speaking world, a faithful husband, devoted father, Christian scientist, ecumenical leader, preacher of the gospel, and son of a missionary with an intense missionary fervor himself. Perhaps the greatest accolade one could pay Torrance that he himself would welcome is that he was a Christian, and one who was utterly persuaded by the truth of the gospel and sought to persuade others of this same truth. Prior to teaching, Torrance spent ten years in the ministry of the Kirk of Scotland, both before and after World War II, also serving as Moderator of the Kirk’s General Assembly (1976–1977). During World War II, Torrance was an army chaplain in the Middle East and then in Italy. Torrance’s service in the army was recognized in his 1944 reception of the MBE (Member of the British Empire) for bravery. Torrance is known and renowned throughout the world of academic theology as a “theologian’s theologian.” By that it is meant that many but by no means all of his academic works are dense and meticulous pieces of historical and constructive theology that canvass the fields of Christian dogmatics, science, philosophy, art, and culture. 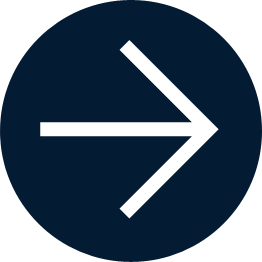 His American exegete, E.M. Colyer, writes, “The difficulty of Torrance’s theology was frustrating, yet I repeatedly found myself coming to understand what I had always tacitly believed as a Christian in a way that deepened my faith and clarified my grasp of the theological structure of the Gospel” (How to Read T.F. Torrance: Understanding His Trinitarian and Scientific Theology [InterVarsity, 2001], 18). This sense of indebtedness to the theology of Thomas Torrance is shared by many contemporary theologians around the world. 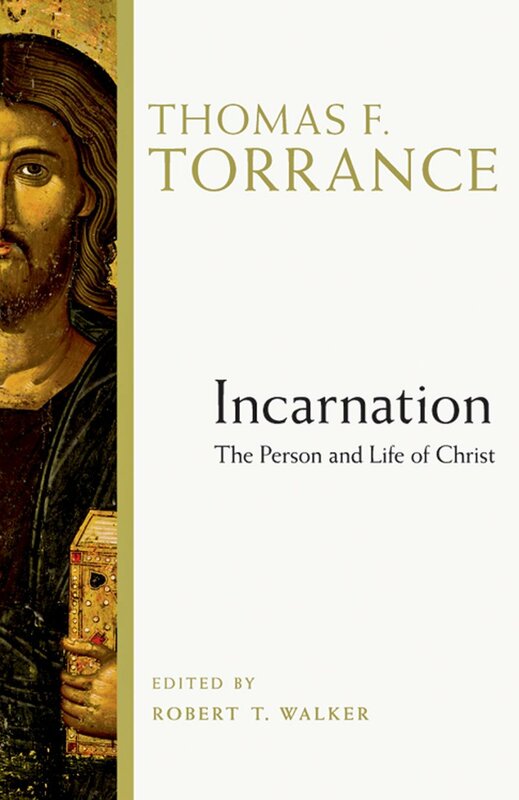 Although theologically rigorous in content, idiosyncratic in style, and voluminous in output, Torrance’s theology is also deeply pastoral, engaging, and evangelical. Although latent in his more academic books and articles, these elements of his theology are nonetheless present, lurking beneath the surface of the syntax, informing the theology. So true is this that the real goal and point of Torrance’s work is not simply to communicate information but to transform the individual and society as a whole. His was a work of evangelism before it was a contribution to human knowledge. Reflecting on his missionary sensibilities Torrance wrote, “This orientation to mission was built into the fabric of my mind, and has never faded—by its essential nature Christian theology has always had for me an evangelistic thrust” (“Itinerarium Mentis in Deum: My Theological Development,” 1). Upon Torrance’s retirement from New College, University of Edinburgh, J. McIntyre rightly commented, “But his aim is not solely to enlighten intellectually: it is rather to impart such a lively sense of the claim of the Word of God upon us all, that our obedience manifests itself not only in integrity of thought, but also in faithfulness in proclamation and care in counselling. Theology in service to the ministry has always been the sequence of his intention” (“Thomas Forsyth Torrance,” New College Bulletin 10 [August 1979], 1). McIntyre’s words are absolutely correct and this call to training men and women for the ministry was a large part of Torrance’s decision to stay in Edinburgh, a university that trains ordinands for the Kirk, rather than succeed Barth upon his retirement in his chair in Basel. Torrance was fond of pointing out from his favorite theologian, Athanasius of Alexandria, that true knowledge of God — theologia — actually equals or is equivalent to godliness and worship — eusebia — such that godly faith in and worship of God the Trinity belong wholly to a proper understanding or knowledge of God. Torrance’s theology has several key components that together comprise his Christian dogmatics. We may summarize his broad contribution to knowledge around six general categories. Biblical and Reformed: Torrance’s theology is thoroughly and self-consciously Reformed. 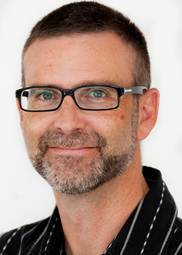 As an ordained minister in the Kirk of Scotland, an authority on John Calvin, a key representative of the World Alliance of Reformed Churches in ecumenical activity, and a pupil of Karl Barth, Torrance and his theology stands squarely within the Reformed heritage. Although Torrance views himself as thoroughly Reformed he was a vigorous opponent of Calvinism, that brand of Puritan Calvinism that resulted in the rise of Federal/Westminster Theology, or what has been termed Reformed scholasticism. As such Torrance’s Reformed theology and vision are what we may call catholic, broad, evangelical, and generous. Torrance sees Barth as the most faithful advocate of Calvin’s theology and of the orthodox Reformed faith in general. As such, Barth’s doctrine of God has been one of the most influential on Torrance’s own exposition of the Christian doctrine of God. Like Barth, Torrance believes that nothing is or can be known of God but that which comes by his active self-revelation. Torrance takes up and consistently develops Barth’s claim that what God is in his revelation, he is antecedently and eternally in himself. It is for this reason that Torrance is above all a theologian of the doctrine of the knowledge of God. Torrance was responsible for the translation and publication of Barth’s Church Dogmatics into English and wrote extensively on or about Barth’s theology, including Karl Barth: Biblical and Evangelical Theologian (T. & T. Clark, 1990) and Karl Barth: An Introduction to His Early Theology 1910–1931 (T. & T. Clark, 2000). Catholic-Ecumenical Theology: Not only is Torrance’s theology Reformed and biblical, it is also catholic. By catholic I mean universally orthodox, grounded in the Great Tradition, and consciously founded on the Creeds of Christendom, especially Nicaea and Chalcedon. Indeed, Torrance characterizes his own theology as “deeply Nicene.” By “Nicene” Torrance refers to the theologians of the Nicene era, especially Athanasius and Cyril of Alexandria, his two main Patristic mentors. It is to these two theologians particularly that Torrance attributes the foundational place of the Trinity in Christian theology as built on the doctrine of the homoousion of Christ (and Spirit) to God the Father. It is this commitment to a catholic theology that expressed itself in ecumenical activity and enabled Torrance to interact so productively with the Eastern Orthodox communion along with the Anglican and Roman Catholic traditions. Throughout his ecumenical endeavors the pro-Nicene doctrines of Christology, pneumatology, and Trinity have occupied center stage, for Torrance believes that if agreement can be made on those points, then the heart of Christian theology is affirmed and further agreement can be reached in the future on other topics. See his edited work, The Incarnation: Ecumenical Studies in the Nicene-Constantinopolitan Creed A.D. 381 (Handsel Press, 1981), and his Theology in Reconciliation: Essays towards Evangelical and Catholic Unity in East and West (Wipf & Stock, 1997). T.F. Torrance, The Christian Doctrine of God. Trinitarian-Christological Theology: It naturally follows that the doctrines of God and Christology should come to the fore in Torrance’s dogmatics. 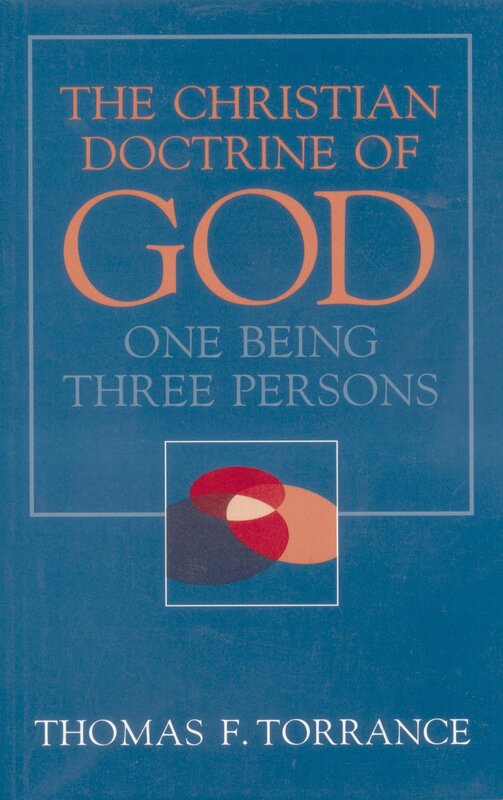 Throughout Torrance’s life and work these doctrines formed the heart of his theological program. As a lifelong student of Barth, a reader of the Fathers, and a Calvin scholar, the doctrine of the Trinity forms the ground and grammar of Torrance’s entire theology. Such is the controlling doctrine of the Trinity in his theology that P Molnar simply describes Torrance as the “theologian of the Trinity” (Thomas F. Torrance: Theologian of the Trinity [Surrey: Ashgate, 2009]). Perhaps more than any other contemporary theologian, Torrance stressed the importance of a robust doctrine of the immanent Trinity. See his The Trinitarian Faith: The Evangelical Theology of the Ancient Catholic Church (T. & T. Clark, 1995) and The Christian Doctrine of God: One Being Three Persons (T. & T. Clark, 1996). Scientific and Methodological: Torrance’s academic career was almost entirely absorbed by concerns over methodology, to the point that one might suggest all his career might be seen as an attempt at prolegomena, a clearing of the epistemological ground for a starting point in theological discourse. On more than one occasion Torrance stated that his wok was an attempt to clear the way for an explicitly Christian epistemology, one that took seriously the starting point for all knowledge of God in Christology, mediated by the Word written through the Holy Spirit. It was this epistemic concern which led Torrance into his interaction with the sciences—especially physics—and into a concentrated study of hermeneutics. Torrance repeatedly appeals to Einstein as the exemplar of a truly scientific method that allows the nature of the object to dictate the appropriate methods for its study. For Einstein this led to, among other things, the general and special theory of relativity. As a lay-scientist in this regard, Torrance quickly saw in Einstein’s work a method (not basis!) for discerning the nature of reality complementary to that of Christianity theology. From Einstein’s reflections on science and religion Torrance drew much inspiration for his own project in dogmatics. See his Theological Science (Oxford University Press, 1969). Missional and Evangelistic: Another feature of Torrance’s theology is its missional and evangelistic emphases. Torrance continually reminded his audiences in person and in print that he was a missionary at heart and that his theology was an attempt to evangelize the scientific culture of his day. He often said that he was as much a missionary to modern theologians as he was to anyone else. Born in China to missionary parents, and originally thinking he would himself be a foreign missionary, Torrance’s call to the ministry of word and sacrament, and after this to the academy, was not seen by Torrance as a rejection of his call to mission, but rather a channeling of such a call into a more specific context. See his When Christ Comes and Comes Again (Hodder and Stoughton, 1957). Academic and Pastoral: A final couplet of Torrance’s theology is the academic and pastoral nature of his work. Perhaps it would be better to say that the pastorally academic nature of his work is the focus here, for Torrance always intended his work as a product of dogmatics and not, strictly speaking, systematic theology. Dogmatics is a more disciplined and focused study of the Christian faith – centered on Christ, conducted by a believer, for the church. As Barth called his great work Church Dogmatics, so too Torrance’s work was produced within the context of the church and for the church. Torrance was a church theologian, not a public theologian, as such. His audience consisted of those whom the Holy Scriptures call “sons and daughters of God,” and he wrote as one such brother in Christ to others. Dogmatics is thus the faithful witness to the reality of the triune God as disclosed in Christ by the Holy Spirit by means of the Word written as the church gathers around the Word in faithful obedience to listen, to receive, and to perform the faith. Dogmatics is thus grounded in worship and issues into worship; it is as Rom 12:1 says, a form of logikē latreia, logical worship, as Torrance was fond of saying. See his The Mediation of Christ (Paternoster, 1983). Torrance died on 2 December 2007. His work is still the cause of lively interest and considerable debate and has influence continues to resource subsequent contributions to Christian dogmatics. Missionary, scholar, world traveler, soldier, pastor, professor, husband, father, and renaissance man — even from this briefest of biographies it is evident that Torrance lived a full and exciting life, a life, we may say, worthy of a spot in one of the once popular Boy’s Own Annuals featuring the exciting lives and daring pursuits of men in the world.